Coding enables active control over technology; rather than just passive consumption. So, by encouraging your child to develop coding abilities, you'll be nurturing a wide range of skills and talents useful to their overall cognitive development: problem-solving, organisation, creativity, and focus - to name but a few. We've found five of the best online games that will inspire your children and young adults to create, rather than just devour; and to spend their leisure time developing their learning abilities (without even realising it!). Who is it for? Lightbot Jr. for 4-8-year-olds. The main Lightbot application for ages 9+. How much? The web version is free. The iOS version is £2.99, while the Android app is £1.99. The aim of the game is to light up each of the blue tiles on the 3D grid by navigating a virtual robot via a string of programming commands. It teaches planning and testing while incorporating debugging and looping skills. Kids love this game because of the cute robot character who provides feedback as your child develops their abilities. There's a distinct sense of progression, offering increasing levels of challenge. How much? The web version is free. The mobile versions (iOS, Android, and Windows Store) apps vary from free to £1.99. Similar to Lightbot, you navigate a robot around a series of mazes, using specific commands that develop a working functional familiarity with coding concepts. Although the graphics are more basic that Lightbot, this is the puzzle game that keeps on giving - suitable for young children, but even posing a challenge for adults towards the later stages. One of the best features of Robozzle is that users can create their own mazes, which can be shared with the Robozzle community. Using a fantasy-themed platform, this is a great game for lovers of Warcraft-style gaming. Starting with a single-player mode, the player progresses to online tournaments with other players - with real money prizes! 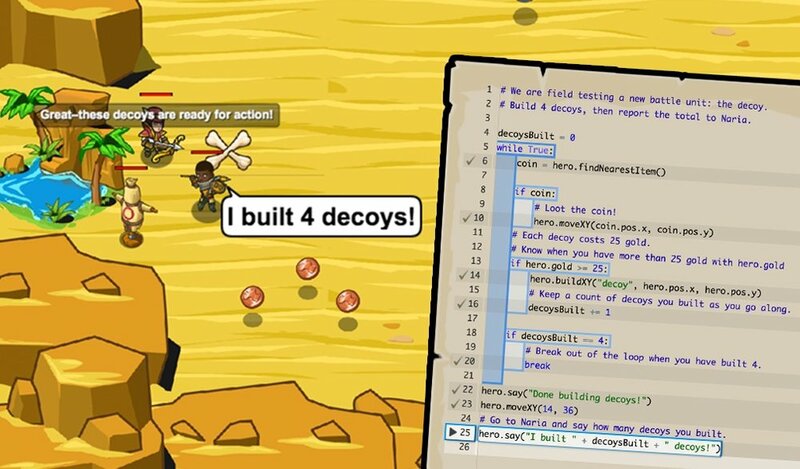 The Code Combat team are on the lookout for high-level players, so this game may very well earn your child a job! 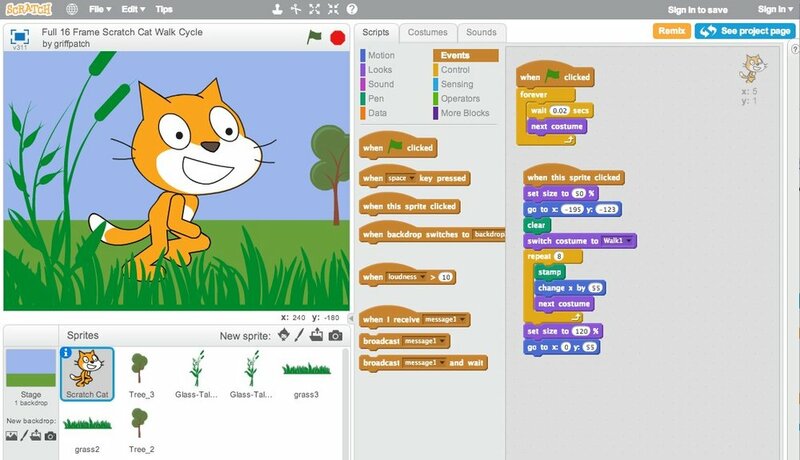 Scratch is an interface that provides your child with the ability to create games by using "blocks" of code. Inspiring children to use their imagination, they can build mini-games and platforms that they can share with their peers. Using Scratch blocks (pre-existing commands) rather than specific coding, your child can create a platform game as they would build a model out of Lego. It offers a vibrant community of budding programmers, so there's a distinctly social element to Scratch that lets your child share their creations and be inspired by others. Stencyl uses a snap-block system, similar to Scratch; so if your child is a fan of Minecraft, this could be a great way into visual coding. For those who prefer to focus on the nitty-gritty, however, there’s a plug-in to allow manipulation and composition of Haxe coding inside the Behaviours engine. The primary platform is free to use, although there’s also a pro-plan that features advanced functionality for a slightly hefty subscription fee.